Howard Wiseman of Griffith University in Australia led a team that has created a new, groundbreaking theory. The theory suggests that multiple other universes exist in the same space and time as our own, and even interact with one another on the quantum level, says IFL Science. Quantum Theory can be a very complicated idea to grasp, as on a quantum level matter do not behave following the same physical and universal laws we are familiar with. This new theory is NOT the same as the “Many Worlds Theory” as it suggests something else which is pretty radical. The new so called “Many Interacting Worlds Theory” suggests that after an event happens (like asteroid hitting Earth) numerous universes are created with all possible outcomes of that event (ours being the one where dinosaurs were wiped out) and all these universes interact with one another. The previous theory claimed that these universes are parallel to ours and run in a separate space but at the same time, never interacting. “Many Interacting Worlds Theory” claims these parallel universes depend on one another, interacting and running at the same space and time as ours. It suggests that if we study it better, we can actually invent interdimensional travel to another universe from the one we are at. Michael Hall is the lead author of the paper, which was published in the journal Physical Review X. To understand their theory they say we can think of a deck of cards where each card is an event. When you have a full deck of cards, the one you turn over could be any single outcome, until you turn it. When you turn it over it forces one particular outcome to occur. The parallel universes overlap and take up the same space and time simultaneously, like the deck of cards. They exist in all possible configurations until an observer forces one state to exist. This could mean that consciousness is the factor which determines the universe it’ll pick from the deck of universes forcing the outcome itself. “The beauty of our approach is that if there is just one world our theory reduces to Newtonian mechanics, while if there is a gigantic number of worlds it reproduces quantum mechanics. In between it predicts something new that is neither Newton’s theory nor quantum theory,” Wiseman said. The brilliance of this theory is that it unites many groundbreaking discoveries about the quantum world, like quantum entanglement and the one that demonstrated observing influences what is being observed (The Observer Effect). For example, for us to “see” an electron, a photon must first interact with it, and this interaction will change the path of that electron. The response from the physics community has been mixed, ranging from exhilarating excitement and support to some calling it ‘a huge waste of time’! However, taking in consideration what we know about the quantum world, nothing is strange. In the past it was hard for us to even imagine leaving this planet and exploring other planets. 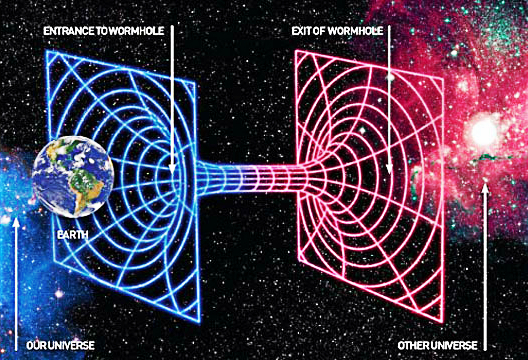 Maybe someday we can access parallel universes, have interdimensional travel, which could possibly lead to time travel. And this theory can be one of the foundations that enable us.